Still not sure about what to do with your Thanksgiving leftovers? 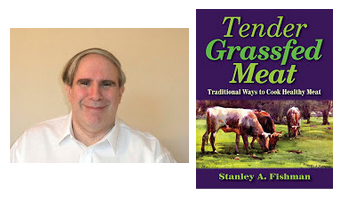 The Appropriate Omnivore brings in its go-to chef, Tender Grassfed Meat author Stanley Fishman, to talk about all the types of foods you can cook with the leftover items from the big Thanksgiving meal. Stanley starts off saying what he served for Thanksgiving dinner and then gets into all types of meals you can make with the leftover turkey and other dishes. One of the best things you can make with leftover turkey is a nourishing turkey bone broth. But there are many other great dishes you can turn the leftovers into, including many great ethnic meals. Stanley and Aaron also go into why they keep the tradition a Turkey Day and not a Tofurkey Day.